We usually send the manufacturing documents only when a project is finalised, however to give you and idea of the final output I attach the workshop document that gives the cutting lists and detailed drawings. As you can see the drawer bottoms are there, but I would suggest you make them in thinner material. If you have a biscuit jointer, I’d suggest that you use it to assemble the carcase. In this case you don’t need to have this marked out in Polyboard. 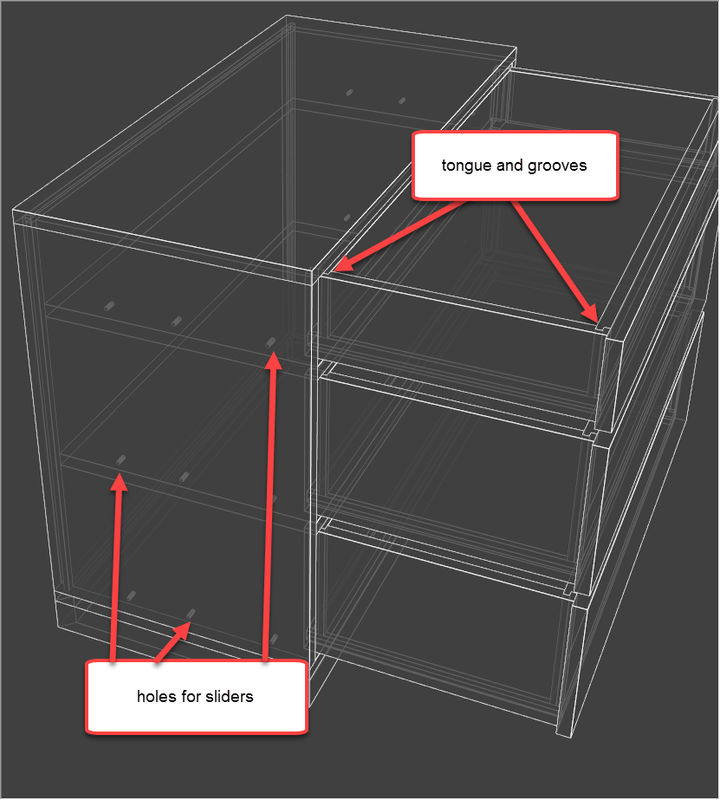 I’ve set up your model with the back and drawer bottoms in thinner material and grooved into the surrounds. You can check and tweak it to suit. To change material thickness see the Quick Design video n°6 : changing your design. Hi Ness, The 3D looks a little different. 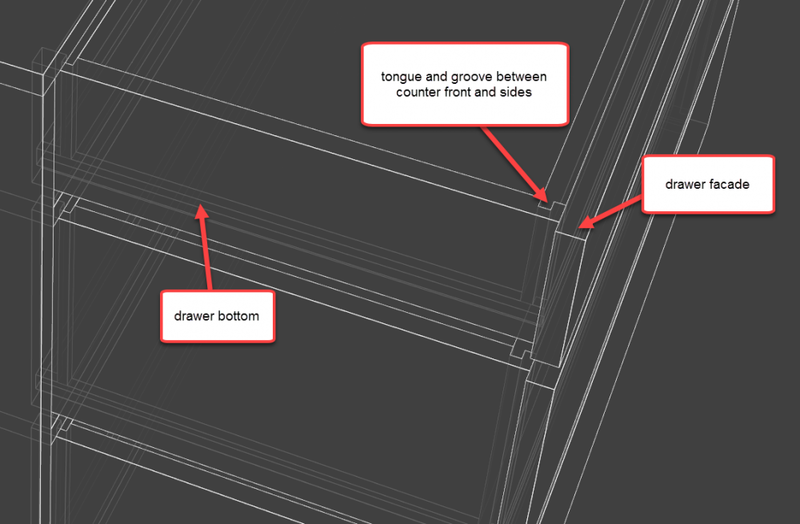 I am not seeing the bottoms to the drawers and I can see the tongue and groves coming all the way through to the fronts of the drawer face. Also about the cut list, I thought it wood automatically calculate how much wood I would need for this project. I don’t see list. I’ve added the tongue and grooves for the drawers and corrected the slider hardware so that the sides are drilled and not the front. You had applied slider hardware for applied drawers whereas yours are built-in. I see also that you have used the french Quick Design libraries and not the english version, did you download from AtelierBois.net? Do you need hardware and assembly details for the carcass ? I attach a second model with the sides extended to the floor and the front plinth set back, this simplifies the building of this project. At first glance, I would also personally make the back and drawer bottoms in thinner material. To properly advise you on this project could you give us a bit more information on the materials and hardware you are thinking of using as well as the tools and facilities you have in your workshop and how you are going to build this project? 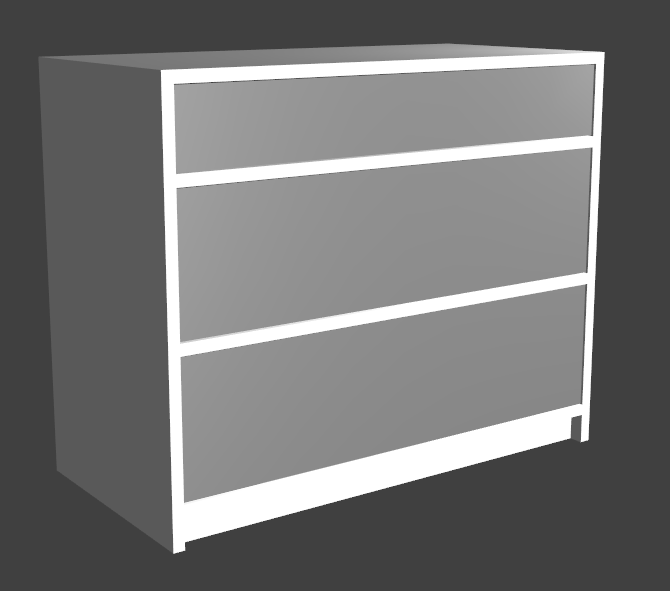 Hi Joseph, thanks for posting your CabinetFile project. Reference your email, the project attached fine, you won’t be able to see an image of the project, just the project file. I never use Wood Designer before, But I liked what I saw. I created a project on the demo version its a 3 drawer nightstand. I couldn’t put all the tongue and groves on project. Like the drawers, sides, back, top and bottom. can you help?